Two new underwater pipelines were installed beneath multiple waterways in recreational areas, making the verification of their location more difficult than usual. The Challenge: Lake Lewisville is a popular recreational reservoir in Northern Texas, seeing year-round boaters, swimmers, fishermen and more. 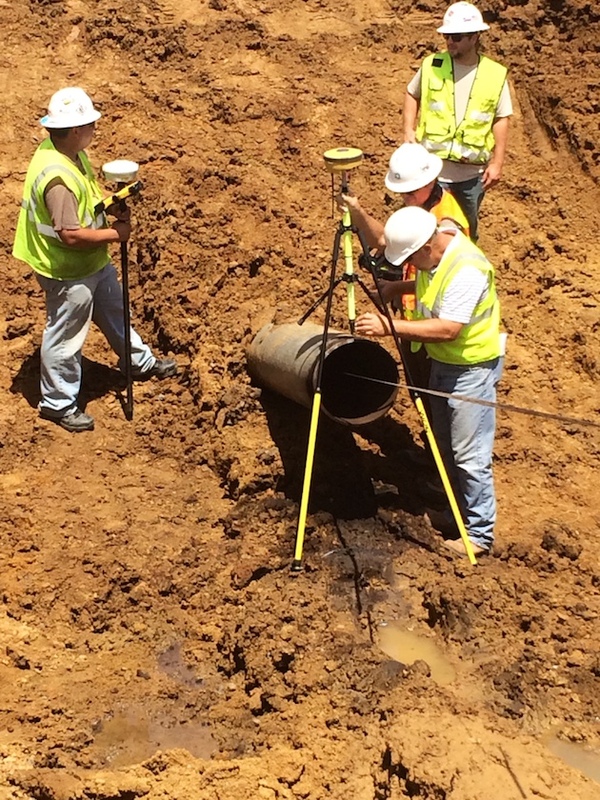 When two new steel gas pipelines were installed beneath multiple waterways, their exact locations needed to be verified to improve efficiency. Resting at maximum depths of over 120 feet, the 2,100- and 5,600-foot pipelines presented unique mapping challenges. The Solution: Contracted by a major energy client to provide detailed 3-D mapping of the 16”-diameter underwater pipelines, Geospatial used their Smart Probe Technology to locate and chart the pipelines. Geospatial’s Smart Probe is ideal for economical underwater mapping as it doesn’t require any communication with the surface, meaning no data tether. They successfully operated without the need for potentially dangerous diving or underwater inspection, and with minimal disruption to services at the park. After collecting the data, Geospatial Corporation was able to verify consistency of the mapping results and begin post-processing at their headquarters. Upon completion, an accurate 3-dimensional map of the centerline of the pipeline was created. Geospatial’s findings were reported via AutoCAD and GeoUnderground for effective and adaptable use of the deliverable. GeoUnderground is our proprietary GIS platform custom designed around the Google Maps API and Google Maps Engine. The company's powerful cloud-based database enables users to view and utilize this 3D pipeline mapping information securely from any desktop or mobile device. GeoUnderground seamlessly integrates with Geospatial’s technologies gathering underground, underwater or aboveground geo-referenced digital information of all types of infrastructure.